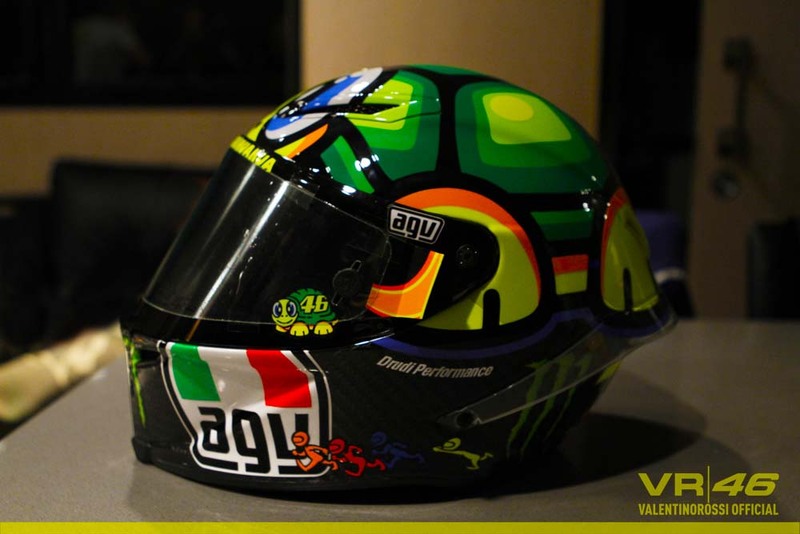 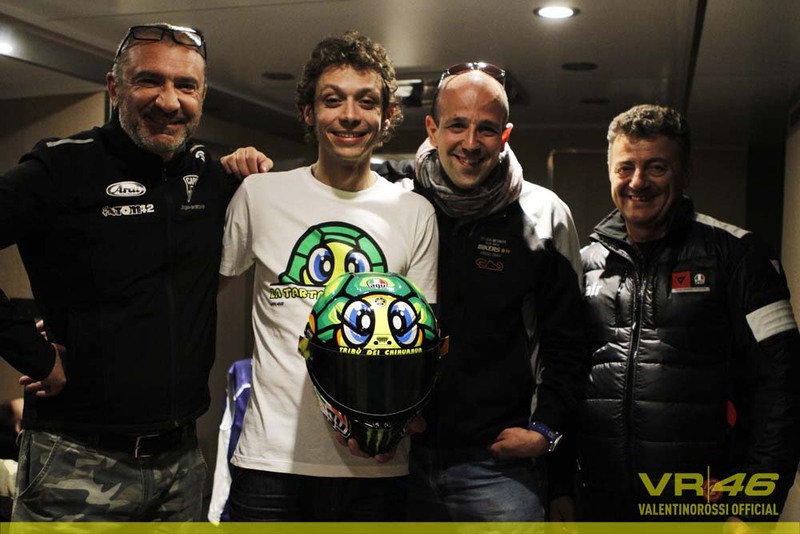 Another Italian GP at Mugello, and another special AGV helmet for Valentino Rossi. 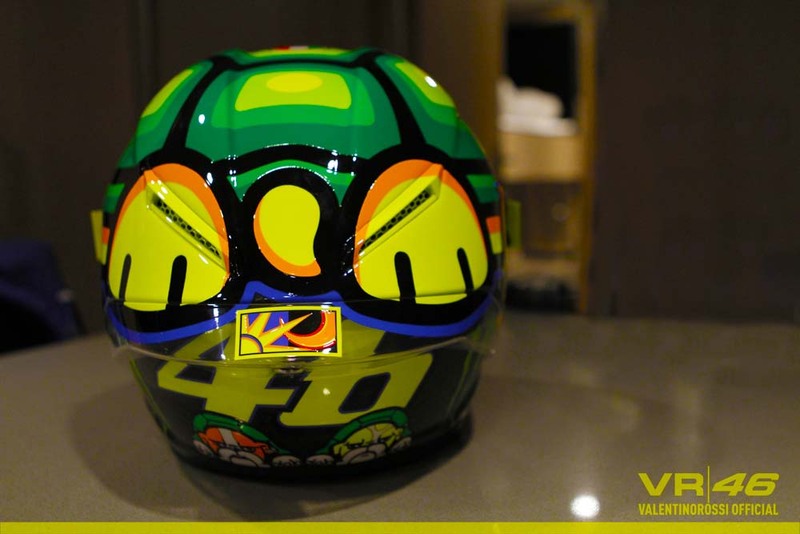 A wink to his new non-alien status, Rossi’s AGV Pista GP lid is obviously painted up like a turtleshell, implying the Italian’s pace to his rivals (note the colored figures running along the chin bar of the helmet). 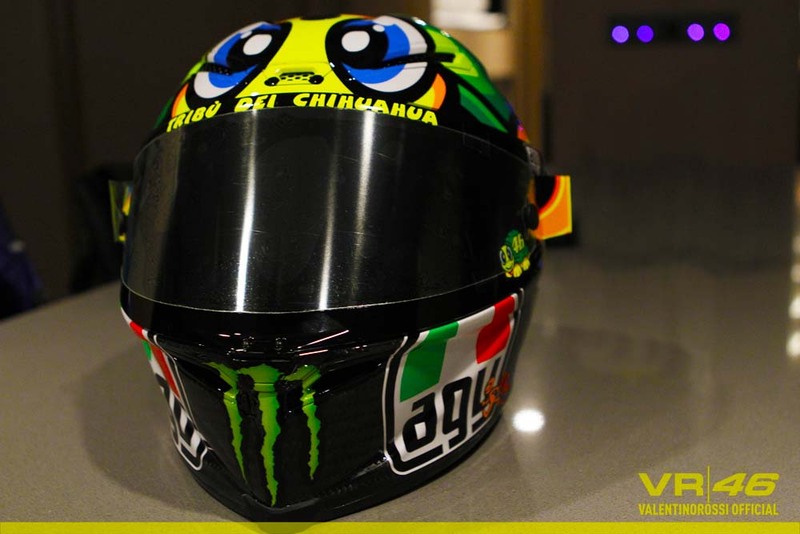 Whether you are a fan of The Doctor or not, you have to admit the G.O.A.T. 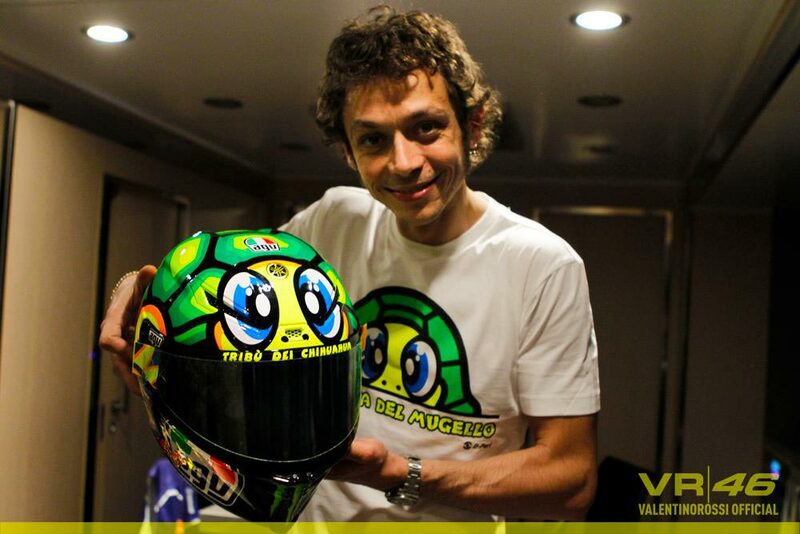 is taking his new place in MotoGP in stride (at least publicly)…though don’t count him out just yet. 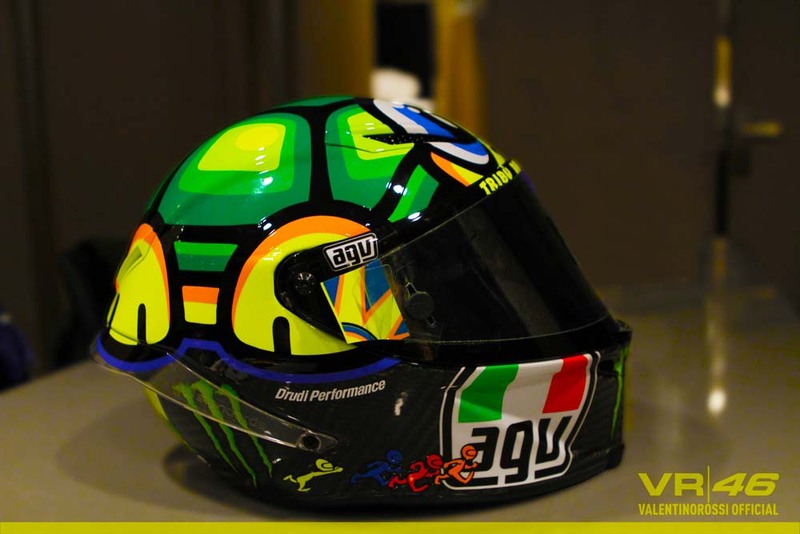 Second-fastest in FP1 & FP2 on his 2013 Yamaha YZR-M1, Rossi was also fourth-quickest in this morning’s FP3 session — counting him out of a podium, and even a race win, at Mugello would be unwise.